The end of the 19th and the beginning of the 20th Century was times of dramatic scientific discoveries into the invisible worlds of radiation, atoms and space. The same time saw also a flowering of all sorts of esoteric and occult exploration, including theosophy, anthroposophy, spiritism and ritual magic. 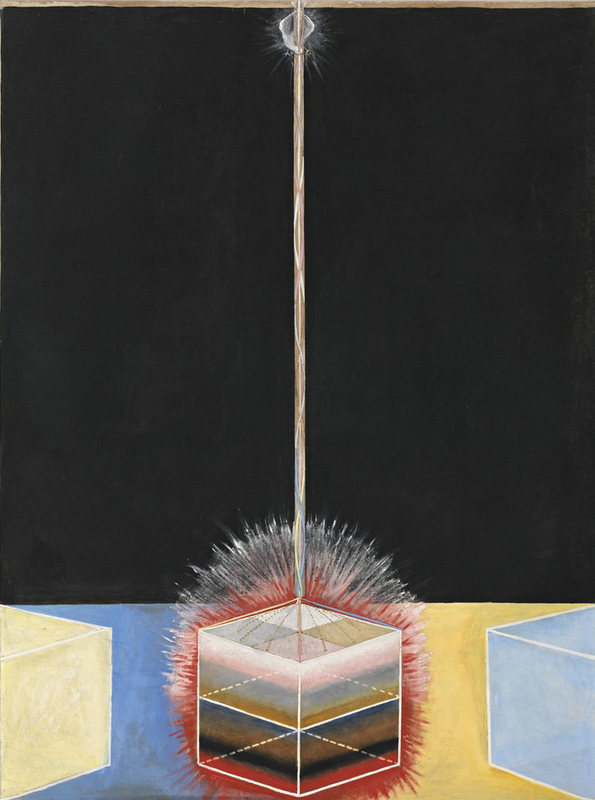 Hilma Af Klint (1862-1944) holds a special position in the history of Scandinavian visual culture, as a woman who, at the turn of the 20th century went completely her own way. Being an established figurative artist, she secretly and systematically followed her strong inner impulses to chart way into radical artistic abstraction, years before Kandinsky and Malevich. Her best work is instantly recognizable as modern in the same time that it carries the spiritual sensitivity and vision that we can find in the great classics of mystical literature and art.